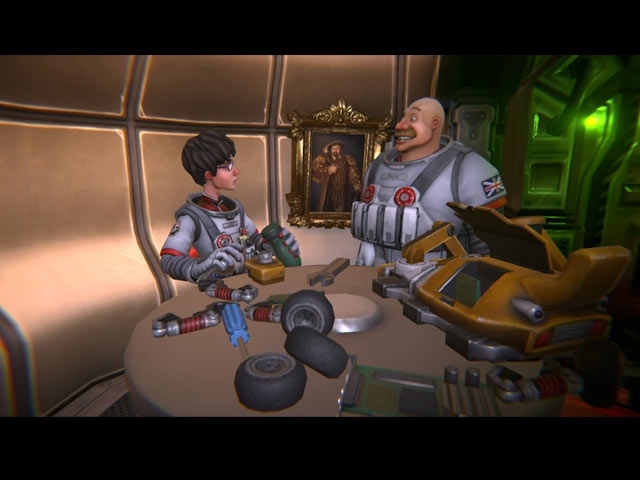 Follow the exploits of Captain Frank Lee English and his trusted regional colleague Aled, as they travel through the cosmos in search of planets to claim for a new Galactic British Empire! In the wake a political crisis Britain found itself isolated from global society. Frustrated by the demise of this once great nation Her Majesty the Queen decides that the elected representatives at Westminster are no longer fit to govern her United Kingdom. With parliament gone, the Queen concluded that, given the complications Britain was facing returning to a position of power on earth, perhaps it was time to focus her attention elsewhere... Establishing S.P.I.F.F.I.N.G. 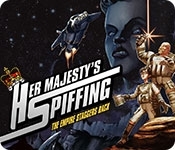 (Special Planetary Investigative Force For Inhabiting New Galaxies) Her Majesty has turned to the stars in a bid to establish a new, Galactic British Empire in this quaint, graphic adventure game!